The development for more than ten years in China is obvious, the number of coming to China for a better development is growing.They came to China for different purposes, study, work, travel and so on, but the standard test of Chinese language level(HSK) has become their common pursuit,and it is one of the threshold.It is not easy for the foreigners overcome the language barrier and through this test. Mr lee,a language teacher from MandarinGarden,has shared a set of data for us: by the end of February,2017,there are 783 HSK locations in the world,the 289 of these test sites are in China,and 494 are overseas. Europe has 154 test sites,20 in Britain, 24 in France, 10 in Italy, 17 in Germany, and so on. There are 126 HSK test sites in the Americas, including 80 in the United States and 17 in canada. Mr lee said there will be more HSK sites in the future. 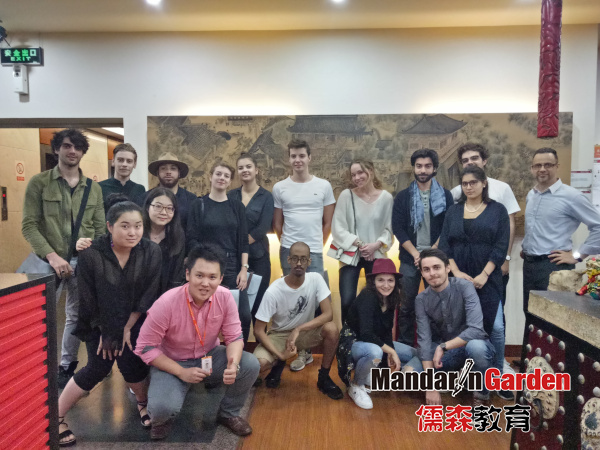 It is a long long way to learn Chinese culture.Aaron,who had participated in the HSK,said that the HSK’s difficulty is not great for him. Aaron is an overseas student. He spent a long time in China, so the HSK for foreign students was not so difficult for him. 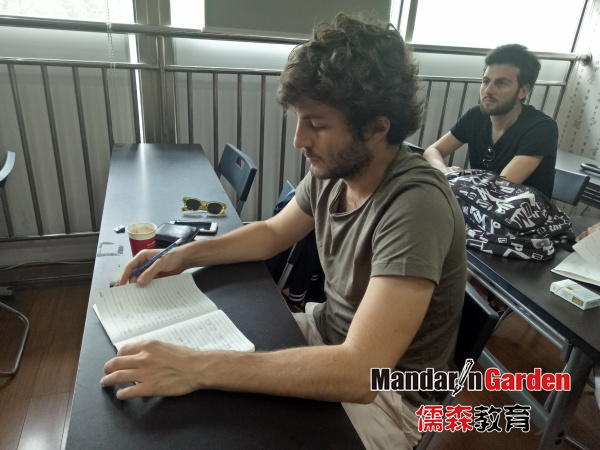 For writing,the most difficult part of HSK,Aaron said that he received the formal test tutoring before the HSK in MandarinGarden, so he passed the writing easily, but he suggested to the students who are going to take this test: "writing part need more attention in the entire exam,do not let down. And the spoken part of is also difficult for foreign students, because spoken language can not up to a breakthrough in short time,they need more practice in part-time." Many students who have participated in the HSK test said that Chinese grammar difficult. First of all, there is no relation between Chinese writing and pronunciation, which makes them memorize the writing and pronunciation separately when they memorize Chinese characters. Moreover, the Chinese language has four tones, each representing different words, and the same tone has different characters, which adds the difficulty of memorizing Chinese characters. Although Chinese grammar is not many, but that does not reduce the difficulty,and they need to remember more special usage, let the Chinese learning journey worse. Cultural communication needs to be renewed. Although China's national strength is increasing day by day, more and more foreigners are taking the HSK, learning Chinese and understanding Chinese culture, but Chinese is still a "small" language all over the world. All countries in the world, only China use Chinese as the official language, while Chinese have a certain influence in Asian or Southeast Asian countries, but in western countries still did not enter the mainstream language category. In addition to students who have a unique interest in Chinese culture, Western students often choose to study French, German and other European languages when choosing a second language. 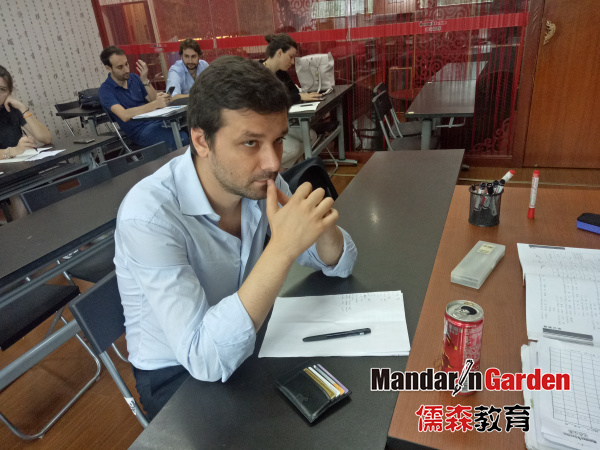 However,Mr Lee in MandarinGarden believes that in the near future,Chinese will become the international language gradually, the number of take the HSK will be more and more.